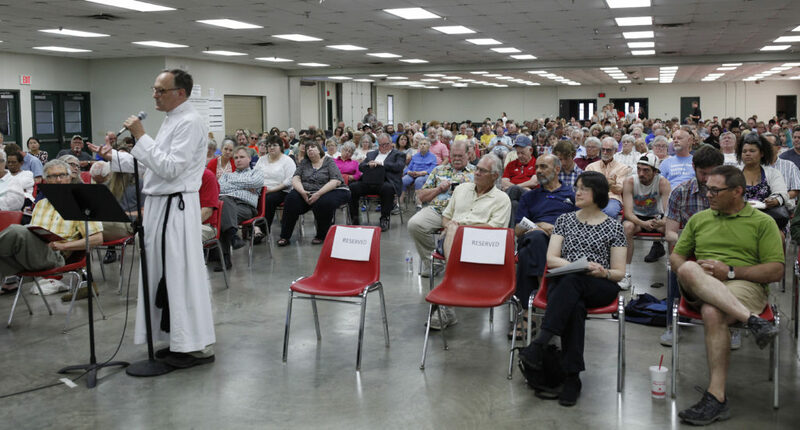 Plymouth Congregational Pastor Peter Luckey, speaks to county commissioner and a gathered crowd during a public forum on issues surrounding jail overcrowding and behavioral health care needs Wednesday, May 30, 2018 at Building 21 at the Douglas County Fairgrounds. Commissioners agreed to schedule the forum after county voters had rejected Proposition 1 on May 15. If passed, that ballot question would have created a countywide half-cent sales tax, which would have funded a $44 million expansion of the county jail and an $11 million behavioral health campus. 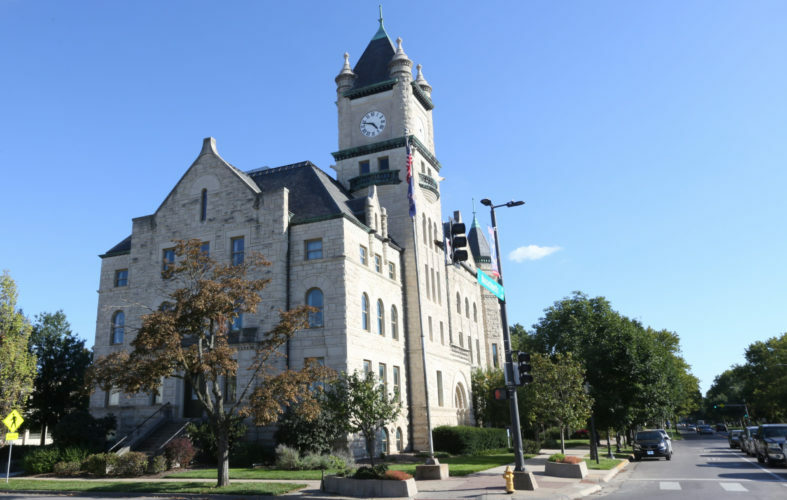 At a public forum Wednesday, voters asked county leaders to end any plans to expand the county jail, as well as to pose a new ballot question that would only fund mental health and substance abuse needs. The forum drew about 500 people Wednesday evening to Building 21 at the Douglas County Fairgrounds. County commissioners scheduled it earlier this month after voters defeated Proposition 1, which, if it had passed, would have authorized a countywide half-cent sales tax to fund a $44 million jail expansion, an $11 million behavioral health campus and $5.1 million in additional behavioral health services. At the beginning of the forum, County Commission Chair Nancy Thellman said commissioners were at the meeting to listen and would not debate issues or comment on what was said. 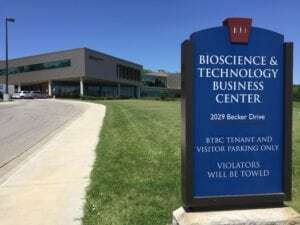 The specific topics of the forum were jail overcrowding and mental health services, but another issue that came up repeatedly was the unequal incarceration of the poor and people of color in the county jail, a topic that several speakers linked to Tuesday’s police shooting of a black man following a traffic stop in downtown Lawrence. 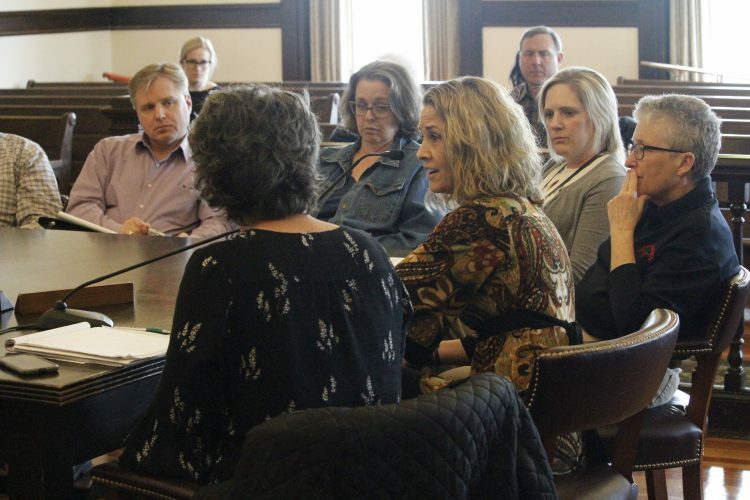 Numerous speakers said the defeat of Proposition 1 was a message from voters that they did not want the jail expansion and resented that it was placed on a ballot with the behavioral health initiatives. Ken Easthouse, of Lawrence, said commissioners did not show good faith when they linked the two items on the ballot. Many of the speakers calling for a new referendum on the behavioral health initiatives said they supported a proposal from advocacy group Justice Matters to put a ballot question on just the behavioral health initiatives before voters in the November general election. Ted Mosher, co-president of Justice Matters, said the Proposition 1 vote showed the commission how to move forward with the support of the electorate. In addition to advancing behavioral health projects, Mosher said, the county should contract with an outside organization to do a thorough review of its criminal justice system. He also said the county needed to start a conversation about the disproportionate amount of minorities arrested in the community and incarcerated in the jail. Moreover, Mosher said the county needed to put a fiscally responsible plan to develop a behavioral health campus before voters in November. The plan should make use of state and nonprofit funding, require a financial contribution from Lawrence Memorial Hospital and include partnerships with nearby counties without mental health crisis centers, he said. “The voters have given you clarity to do these things, and I hope and pray you do it,” he said. 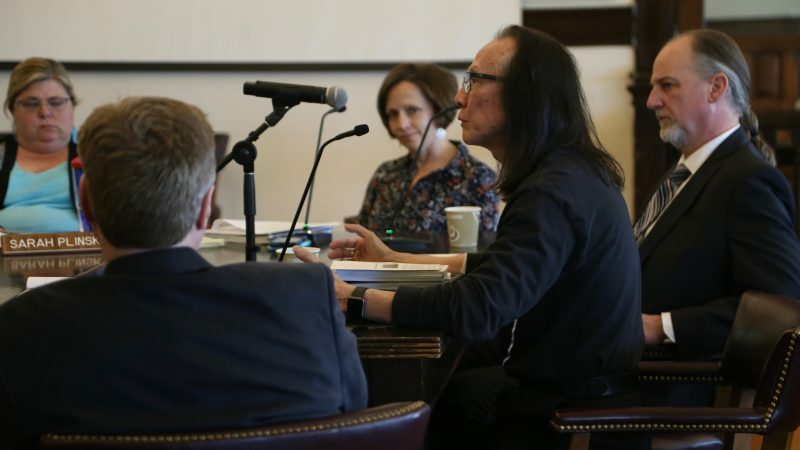 A number of speakers were critical of the county’s proposal in Proposition 1 to fund its initiatives through a sales tax, a greater hardship on low-income residents. County commissioners were also criticized for indicating social services would be cut to fund the jail expansion if Proposition 1 failed. Howard Callihan, a former Lawrence Community Shelter employee, said it was a move that held the county’s social service institutions hostage. Should the county follow through, the cuts would backfire by creating conditions within the service organizations that would encourage harsher, and cheaper, interactions with clients, rather than restorative practices. “I’ve seen when you decrease funding for those institutions, they get more punitive,” Callihan said. 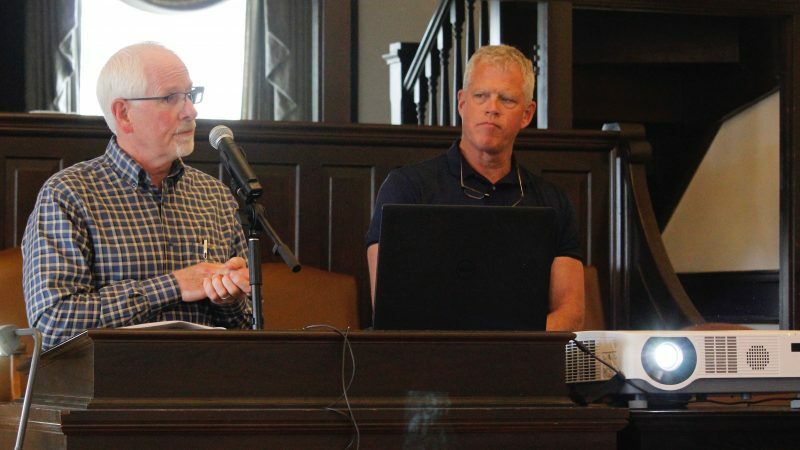 There was some disagreement among speakers about the possible installation of modular cell blocks at the county jail as a way to increase capacity and send fewer inmates to the jails of other counties. Hayden Maples, of the Lawrence Sunset Alliance — one of four groups in the Jail No coalition that campaigned against Proposition 1 — said his group would support the county installing modular cell block units at the county jail as a way to reduce the number of inmates now farmed out to the jails of other counties. It would be cost-effective, he said, because it would allow more low-level inmates to take full advantage of the county’s re-entry programming and, therefore, reduce recidivism rates. But Trinity Carpenter, of Lawrence Black Lives Matter, said the group was opposed to placing “trailer houses” at the jail to house more inmates. “I will never advocate for putting those out there as a temporary solution when you don’t try to deal with the real problem,” she said. 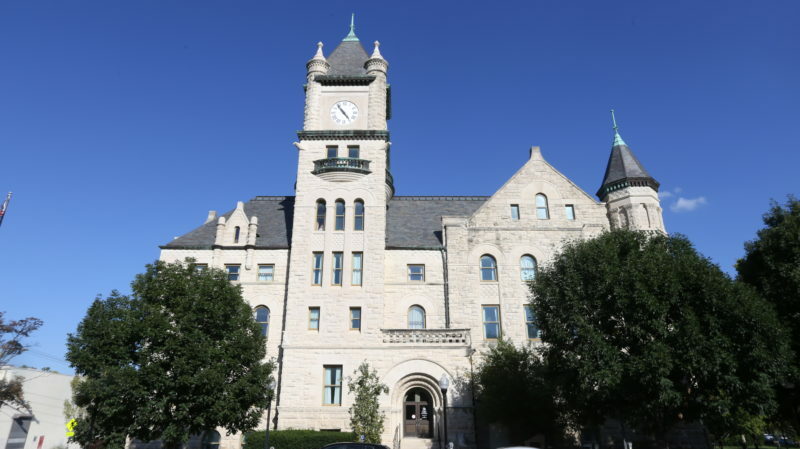 Kurt von Achen, of Eudora, did suggest one area of possible unified action county residents could take, noting that state sentencing guidelines and the Kansas Legislature’s failure to adequately fund the Douglas County District Court created much of the overcrowding at the county jail. “We should all be after the state to improve the incarceration situation of our (jail) and increase the number of the judges in this county,” he said.